Agent as editor. An oxymoron? Some authors want their agents to act as first editor of the book and some don’t. Often agents will suggest changes even before they accept the writer as a client. Then you’re the one who will have to decide how badly you want that person to represent you. Do you want to rewrite for an agent before you’ve signed? Have other potential agents said similar things about your work? Do the changes make sense? Will they strengthen the manuscript? If you feel the changes do make sense, then, of course, make them. You now have an agent who may continue to act as editor number one. At the same time, you can expect the actual editor at the publishing house to also ask for changes later on. Those changes may even be the opposite of the changes you just made for the agent. Welcome to the real world of publishing. Of course agents who spend time with an author not yet signed take a risk. They can help authors strengthen their books, but then the authors may turn around and sign with other agents. Yes, it does happen. Suggestions will of course be made by an agent you’re already working with, most especially in pitching a first book or a book you want to sell on a proposal. I’ve had an agent on the phone with me for a couple of hours while we worked intensely on the language in a novel summary, for instance. (I learned a lot from his generous help.) That definitely, is very different than the agent editing the actual book. Many writers do like to use the agent as an editor because editors at the publishing houses don’t expend much effort editing these days. The editors are looking for very polished projects, and some agents will take the time to work with promising clients on that level of detail. That’s unusual, however, as most will only help make changes in broad strokes, such as assisting the author to restructure a book for greater impact. You certainly should expect your agent to at least read your manuscript and comment on it in one way or another, although not all agents actually do. They have readers who make acquisition recommendations and the agents steer their course by the readers’ comments. They then don’t really discuss story with the publishing house editors, but are more focused on the business aspect of the agent function while boosting the work. Many agents come into the business from actual editorial jobs, however, and so they know what editors want. They can give advice specific to a genre and specific to the market, and this can truly facilitate a sale. Of course your manuscript may be in good shape, and your agent might not think you need any revisions. In that case, the agent will start to make submissions immediately, which will be good news since you’ve been waiting so long to hear from agents already (most of the time). But what about the authors with what they believe is a clean manuscript and agents who want them to keep making changes. This can be because authors are mistaken about the work or because agents are control freaks and simply a little bit nuts. Some writers don’t want their agents to have any input in the writing or rewriting, especially when the authors are already in print and selling decently. Those writers only want agents who are well-versed in the business and who sell and promote them aggressively and negotiate the contracts. Let’s call this a matter of clashing styles and hope that you don’t fall into the clutches of agents who want the book written according to that agent’s lights—and that when agents make suggestions, their ideas come from a sound editorial and market perspective and not from a personality disorder. Knowing when to listen and when not is difficult since you very much want to sell the project. In one case (undoubtedly more than one), an author made a change from third person to first at the agent’s request (the first chapter only), and found that the altered point of view didn’t work for the novel. The writer changed the chapter back, signed with someone else, and sold the book. The agent is an industry professional who allegedly knows what editors are looking for, and so you want to be flexible enough to listen to this person as a trusted advisor. However, you also need to be able to stick with your vision of your book and be strong enough to say no either to an agent you’re already working with or one who might/might not sign you on. The agent surely has the responsibility to tell a client if a book doesn’t work or won’t suit the market, and to make suggestions. In pitching a manuscript to an agent, be prepared for an “editorial letter” after the agent reads the work. This will be similar to a letter from an editor requesting changes. Most agents won’t expect you to make every change suggested (unless this agent is that type of control demon we just spoke of). So you can make the changes you feel work for the book and explain why you didn’t alter the rest of the material. Another slice of editorial input that might come from your agent will be a suggestion as to what you will write next. That can be very helpful. The agent knows the market better than you and wants you to sell as much as you want to sell. But don’t think you have to take the agent’s idea for a new project and run with it. The new book might not be what you’d feel comfortable with or that appeals to your sense of what you need to fulfill in your work. Run your own idea by the agent or an version of the agent’s idea. While many authors won’t discuss the next project with their agents, most will. They hate to spend months writing a book that won’t receive agent or market interest/approval. A discussion of this type can be very productive and help you firm up or alter your thinking about what you want to work on next. Rejection of your work will come from all fronts—that’s the name of the game: Acceptance isn’t the rule, but the occasional delight. I met a name author at a conference last week who sells well. What she said about her last book, however, was that her readers didn’t like her change of content and approach. They were annoyed, so she was returning to the standard she’d established in order to win back her loyal fans. An agent, too, will make recommendations to ditch a book based not on the unworthiness of a project you want to work on, but on the fact that you’re trying to pursue a different type of “branding” and to be known as an author in a different market segment. Sticking to what works makes good business sense, of course, though an author who wants to write in another genre or on another topic can do so under a different “brand”—a different pen name. What control should you cede to the agent? Well, really, that depends on your comfort level with an agent who represents you. We all want and sometimes even “need” an agent, but at what cost? Only the author can decided, based on the fit of the personalities and the success of the partnership in terms of both art and sales. Less than a year after taking his first step into publishing with the launch of #Merky Books, the grime artist Stormzy has unveiled the New writers’ prize for authors under 30, to “promote the stories that aren’t being heard, and to find the best writer of a new generation”. #Merky Books, a Penguin Random House imprint focused on fostering talent among young UK writers, is part of the musician’s growing #Merky empire, which also includes a record label and music festival. Its first book was Stormzy’s memoir, Rise Up, co-authored with the 25-year-old writer Jude Yawson. As publishing ambitions go, they don’t come much loftier than those held by Rana DiOrio. In 2009, DiOrio—a lawyer, investment banker, and private equity investor—founded Little Pickle Press, a cutting edge children’s book publisher dedicated to “helping parents and educators cultivate conscious, responsible children through media, technologies, and techniques.” Her latest venture, Creative Mint, is arguably her most cutting edge yet: it seeks to leverage the power of blockchain technology to “democratize and decentralize” rights transactions. The platform that underlines bitcoin and other cryptocurrencies, blockchain is already taking a transformative role in supply chain management, music licensing, and even health care recordkeeping. And the publishing world is intrigued, as evidenced by a packed session at last year’s London Book Fair that detailed both the technology’s significant promise—and its myriad challenges—for authors and publishers. But blockchain enthusiasts like DiOrio are convinced that the technology will have a transformative impact on publishing—and DiOrio’s track record suggests she enjoys good odds for success with Creative Mint. Publishes poetry, flash fiction, visual poetry, experimental poetry, and any combination thereof. Manuscripts must be at least 50 pages. Send submissions by email. Magazine for Christian writers. 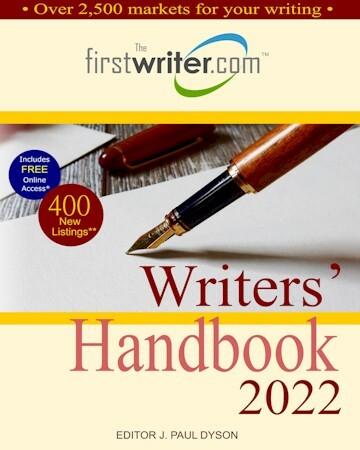 Includes articles and book and market reviews of interest to writers, and also poetry. See website for full guidelines. Represents a range of authors, from journalism and academic non-fiction, to genre fiction and fiction for young adults. No poetry, self-help or lifestyle books, picture books, or romance novels. See website for full guidelines. You want to write a book, but you can’t find the time to get started? I’m not impressed. I’m going to write an entire novel in one day, sitting in a bookstore. If I can do that, then you can surely write your book! I’ll share seven keys to getting started, but first let me answer the question I know you’re asking right now: why am I writing a novel in one day in a bookstore? There is no one way to write. End of sentence. Fullstop. The level of self-righteous prescriptivism within the realm of writing frustrates me to no end, and in my experience as a writer, absolutist advice is oftentimes the worst advice of all. In fact, absolutist advice isn’t advice at all, but rather, a command, as if to say, “You have to write in a certain way to let me justify my own beliefs about the proper way to write.” To express my frustration at literary prescriptivists, I compiled this list of the five best and worst tidbits of writing advice that I’ve ever received. (A bit hypocritical? Maybe.) 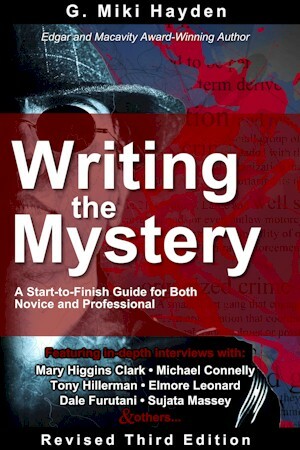 Of course, not every piece of advice will suit every person’s writing, but following the good tips and maintaining a level of skepticism for the bad ones has allowed me, personally, to develop my craft.